Happy Monday friends!! I hope you all had a fabulous Mother's and that you were all spoiled rotten! I continue to pray for all of you ladies who pray daily about becoming moms. You're on my heart all the time! Today I want to share with you all an amazing website where I purchase most of my clothes... Jane.com. I always receive so many compliments from friends on items I purchase from here! I love to share this amazing resource with them and want to share it with all of you too. Here are a few cute items I have purchased at Jane.com in the past year. I will try posting links to similar items, however, since items on this site change daily, I may not be able to find the exact item. I love wearing dolman tops in the Fall and Spring, the go great with skinny jeans or leggings and have a very flattering cut to them. I own at least 3 Dolman style shirts from Jane.com and absolutely love them! Here is a short sleeve style for Summer and one for kids too! These flowy tanks in a Chevron print were my Summer staples last year and they look to be in the rotation for yet again another Summer. I wear them with a cami underneath that I also purchased from Jane.com. I absolutely love that you can purchase both basics and key pieces!! I wear both tops with skinny jeans and wedges. Love the flowy look of the tank on top and skinny look on the bottom. Have I mentioned I love anything chevron? No wonder I love Jane.com so much. They offer so many items in trendy prints. I especially love this Chevron Shift dress, I pair mine with black leggings with flats or tall boots. Love these Solid Lace Tunics for the Fall in mustard. I also pair this top with leggings or skinny jeans with flats or tall boots. Jane.com always has a large assortment of Maxi dresses all of the time which are a huge staple in my closet in the Summer. I own this tank chevron maxi in the black pattern. I fell in love with these lace shorts last Summer and SO excited that they are in style again this Summer!!! I will definitely be busting out these babies again. I bought this cute chevron skirt for Jillian last Summer and can't wait for her to wear it again this Summer. I love that Jane.com also has clothing for my sweet Jillian too! So many cute items that you are just not able to find at your local Target or Department store. Long Cardigans are a staple in any season, especially Spring of Fall. I am totally in love with both of these cardigans and have gotten so much use out of them! My Fall/Spring uniform always consists of a long cardi, long and lean tank paired with skinny jeans and tall boots. 2. Everything is purchased on line. I love shopping but I do not love carting my two beautiful babies around when it comes to clothing shopping for myself! 3. You can purchase both basics and trendy pieces along with other items such as make-up jewelry and items from your home. 4. Jane.com also carries boutique clothing for kids that you just can't find at Target. 5. Paypal! I love the convenience of shopping with Paypal, I can make a purchase with one push of a button. Paypal already has your payment and shipping info on file which makes it so easy to shop! Do you shop at Jane.com or any daily deals website? I would love to hear your best kept fashion secrets!! What's for dinner tonight with your family? 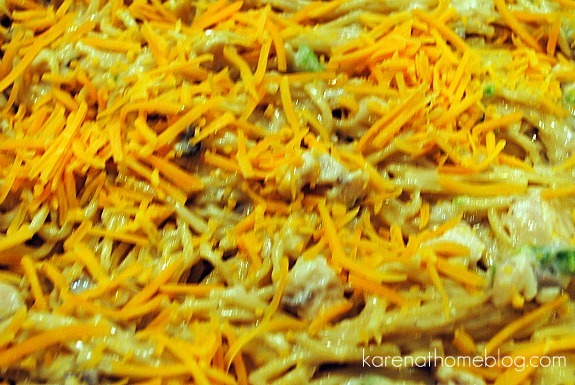 Tonight we are having my amazing Chicken Spaghetti!!! I have not made this in awhile and I can not wait.